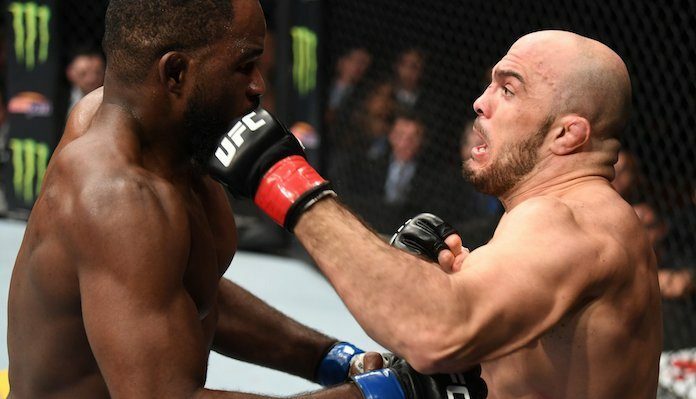 On Saturday night, on the main card of the relocated UFC 232 card in Los Angeles, California, Corey Anderson and Ilir Latifi collided in what was widely regarded as a number-one contender fight in the exciting UFC light heavyweight division. The winner, it was believed, would be well positioned for a fight with the winner of Jon Jones and Alexander Gustafsson’s UFC 232 main event title fight. The first round of this fight was admittedly a bit slow. Latifi seemed to land the hard shots, including a few nasty calf kicks, but Anderson had some success with his jab and his kicks. In round two, Ilir Latifi seemed to begin slowing down, while Corey Anderson began to punish his foe’s body with snapping kicks to the body. Though the Swede narrowly missed with a few of his trademark sledgehammers, Anderson seemed to be taking control with his striking at range. In the third round, Corey Anderson began to slow down too. At one point, he seemed to be slightly wobbled by an Ilir Latifi punch, but otherwise managed to keep his foe at range and on the back foot with a steady diet of jabs and kicks across several levels. In the end, all three cage-side judges scored this one 29-28 for Corey Anderson. With this victory, he moves onto a three-fight streak, having also recently bested Patrick Cummins and Glover Teixeira. He’s now a strong 11-4 overall. Post-fight, Corey Anderson called for a fight with fellow contender Anthony Smith.